GlenBricker's Review: FTL: Why not make them Bigger? FTL: Why not make them Bigger? These will be bigger when Lego produces them right? Why don't you make these bigger? 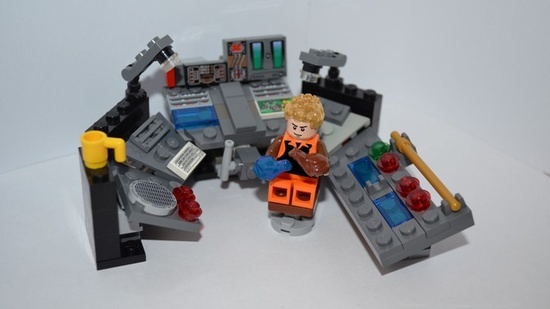 The fact of the matter is that this project is to create a series of micro-scale ships, as pictured, and a collection of minifig scaled crewmen. 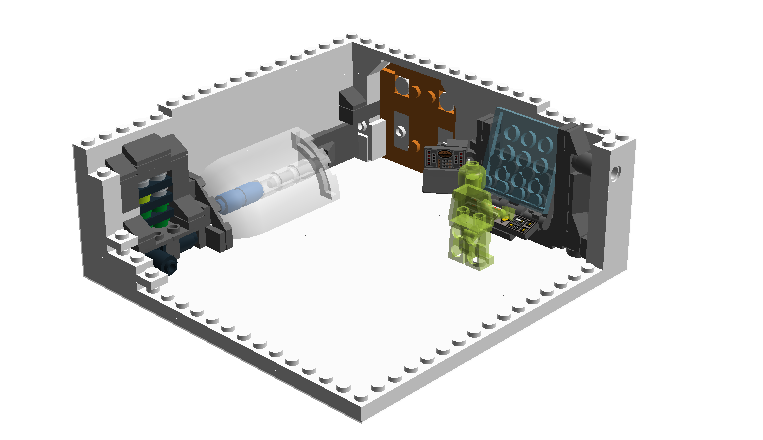 This format is very similar to the current line of Star Wars Planet sets that include a micro-scale ship, minifig, and planet. Some visitors to the project seem very unsatisfied with this concept so we have created this page to address these issues and explain our reasoning for this scale. Most important of all the reasons that follow, is that Crash and I like micro-scale Lego builds. The smaller the build the greater the challenge. For those that don't believe me, check out Crash's other projects and our Star Control project. We enjoy pushing great detail with as few bricks as possible and we want to see more sets that do this. Each Cuusoo project can result in only one set. If a project is "too big" for one set, then Lego requires the project creators to pare down the project until it meets their requirments. If the Kestrel was "bigger" then it would likely be the only ship in the set. As FTL is about the crew of the Kestrel engaging with other ships and crew, only having the one ship would not do a very good job of recreating the feel of FTL. Additionally, even though the Kestrel is very popular it is not everyone's favorite ship. By making the ships smaller we can include a variety from the game and increase the chances that everyone is getting one of their favorites. Ideally they will get more than one of their favorites. Rest assured, Crash and I could make these ships is any scale. We have experience in wide spectrum of scales as the image below shows. In the center of the image is the proposed Kestrel. It is almost exactly 4 inches (10 cm). There is a Kaylee minifig and a Naboo fighter from the Star Wars planets series to the right to better demonstrate the scale. To the left of the Kestrel is my Corellian Defender. It is 11 inches (28 cm) long which is respectable for a Lego ship. The vessel dominating the back of the photo is my Spelljammer Hammership. It is the 43 inches (1.09 m) long, not including the rear sail. I have a special location in my house set aside to display this three foot long monster. Thankfully it is only 12 inches wide when the wings are collapsed. Still, this dominates the room. A full minifig scale Kestrel, that many of our project fans have asked for, would only be one inch shorter than this. A full 42 inches (1.08 meters). The frame of the Kestrel is much wider, relative to its length, than the Hammership. This would grant the Kestrel a full minifig scale width of 25 inches (0.63 meters). Of the more than two thousand people who have voted for the project to date, how many of them have a display area in which they can keep a work of art that is over 3 feet long and 2 feet wide? Even at half that scale you are still talking about 1.5 feet by 1 foot. At first this sounds awesome. But think about it seriously. Picture where you live, then find a place where, for the next year, you will have something taking up that much space. Most people do not have that kind of space. Any smaller than that and you basically compromise the minifig content that fans are requesting, but more on that later. The scale we have chosen is a series of ships about four inches long and three inches wide. Collectively they take up a considerable amount of space but since each one is relatively small they can be arranged in a manner that is tasteful, endearing to the fan, and does not overwhelm the room. In fact, I keep my Kestrel next to my computer. I can admire it without it getting in the way. 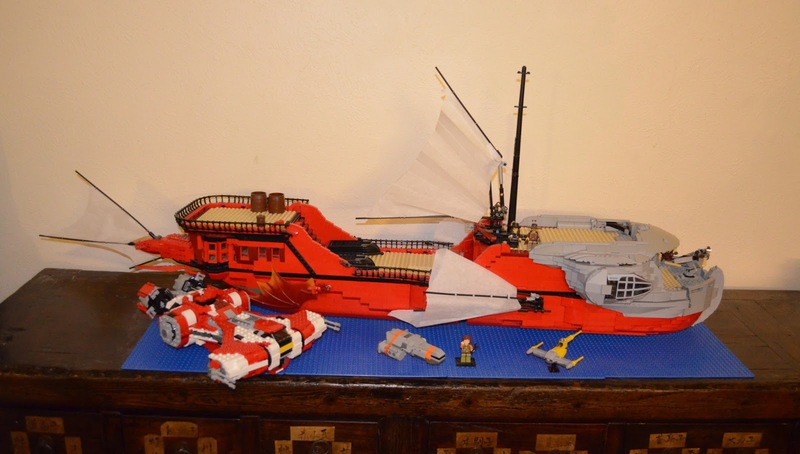 There are many people who have requested the the ships be large enough that the top can be taken off and the minifigs placed inside. As described above this requires a scale of ship that is rather extreme to keep around but ignoring that point, lets investigate the playability of such a ship. Note as well that playability is one of the factors that Lego uses to evaluate a project for production. The request has been made that the ships include all the rooms and internal elements. This is similar to what I have done with my Hammership. It has three levels and a variety of rooms all following to some extent the official floorplan. I can even lift it in one piece. The reason I built this ship to this scale is that it is for a tabletop RPG building it in Lego is the only option I have to see it play out. That is not the case with FTL however. FTL already has a great way to experience the game on this level...by playing the actual game. There is a paradox here that most people do not appreciate. If you build a ship large enough to put minifigs in, then pose all the figures, and then seal up the ship...you can't see all the work you just did posing all the figures. If you keep the lid off the ship though, they you have a ship a giant hole in it. As you start to shrink the ship down for a viable scale, you start making the internals too small for minifgs. Then you start to compromise the minifig elements to fit in the ship and the ship elements to contain relatively larger figure elements. Here are some hard numbers you have to work around. A figure is four studs wide and with headgear requires a room to be about five bricks tall. Given you want to create doorways that means the room must be six studs wide, otherwise it will just look like a tight hallway. Now you want to add some nice details, like consoles and such, that means the room expands out to eight studs...then the walls are at least a brick in width so we are all the way back up to the one meter long Kestrel. Anything less would be a compromise, and who wants that. So, what we have done here is created a project that provides one of each crew species, plus an extra human (note the Crystal is coming soon and it is awesome) and a collection of ships. If you like you can build the internals of the Kestrel and fill it with your crew and have all kinds of adventures but it would be much easier for you to do this if you do not limit yourselves by forcing your build into a Lego ship structure. Take the Hollywood approach and build the rooms independent of the ships. Then there is no compromise between the ships and the rooms and you can have both. Here is an example: The Shield Room of the Kestrel, as interpreted by Crash Sanders. We could build an entire Kestrel around this room, but then we could not not see these fine details as it would always be wrapped in a ginormous ship. Now, the larger a build is, the more playable it becomes for fig but the less playable it actually becomes. Among Lego fans we have something called the Swooshability of the build. It is the factor of playability in which a ship can be "flown" around while grown adults make "flying noises." I have built the Hammer Ship with the structural integrity to allow it to be picked up. However, I must use both hands and be VERY careful. It has a Swooshability factor of 0.0. These ships at these scales are on the opposite side of the spectrum. My son loves to run around with the Kestrel, when I am not playing with it. Also, at this scale, you can have one in each hand! Many part time Lego fans loose sight of how much Lego costs. Some people in the know might even call it expensive. I prefer the term "appropriately priced." It is building material the is "infinitely" adjustable and given that you don't feed it to something will literally last decades. We want to see this set priced in the $60 range. The Kestrel on its own, as designed, would run you about $8 if it was a Lego set. If we scaled up the Kestel to the size of the Corellian Defender, you are looking at $90 for that plus about 3 figures. The theorized 1.5 foot by 1 foot build with lots of internals and such would go for about $150. A Kestrel the scale of the Hammership, could easily cost more than $400. We do not want the set to be exclusive based on the budget of FTL fans and will continue, therefore to target a price point between $50 and $75. 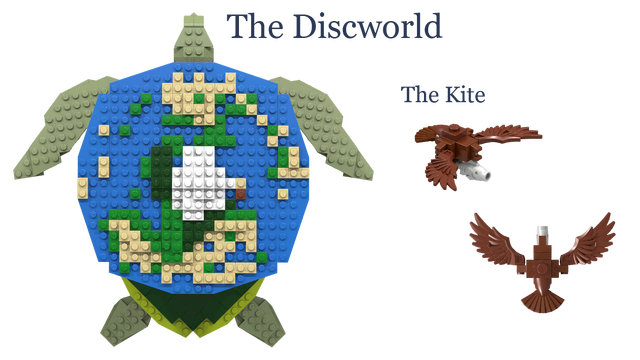 We assume with great certainty that the vast majority of our project supporters are (and will be) fans of FTL first, and fans of Lego second. They Love FTL and find the idea of Lego based models "cool." Sure, many of our project supporters would love to have three foot long version of all the FTL ships and some of them might even have the room and cash to make that possible. Most however are likely to be much more conservative in their affection for this project. This means a set that is small easy to display easily and does not break the budget, reinforcing the earlier decisions. Many of the Lego fans who frequent Cuusoo are unfamiliar with FTL. Those that are unfamiliar with the game have no inherent attraction to the Kestrel and its companion ships. 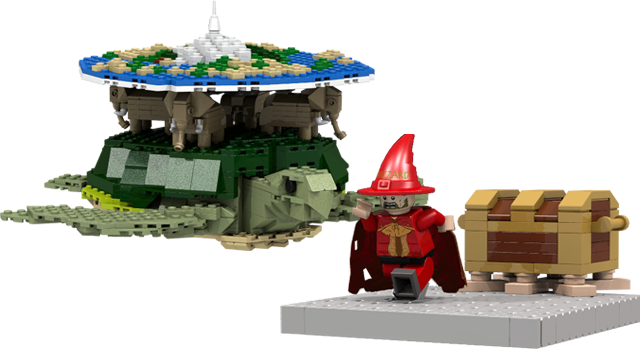 There are many "space ship" projects on Cuusoo and many space ships in the Lego catalog, so, how to stand out with this crowd? Quality micro-scale builds is our answer to this. We have proposed a series of well reasoned arguments for maintain our proposed scale. Beyond any argument it is our preference and we believe our best chance of passing review with an FTL project. We do not argue with your opinion that larger builds would be cool, in fact we applaud your interest and hope you enjoy building them. If you made the Kestrel to the scale of that Hammership, I would want to own it a lot more than those mini-ships, but you're right, I would never buy it. It would be way too big and too expensive. Hey! You could make those ships bigger so minifigs could fit in! Top of the ship could be removable.